Yesterday, MumsNet hosted a live web chat with Sarah Teather, Minister of State for Children and Families. I recently posted an open letter to Miss Teather, to which I'm still awaiting a response. Last week I spoke at a Surrey pathfinder event on behalf of Family Voice Surrey and in front of DfE senior official, Stephen Kingdom. I made sure to mention our concerns about the timetable for reform that everyone, outside the government, is very worried about. I spoke to Mr Kingdom, a very personable chap, afterwards, to ask him to pass on these concerns to Miss Teather. A day later, he emailed me to tell me about the MumsNet webchat and I was delighted to publicise it on my various social nets (and thanks to everyone who retweeted!) so that as many people as possible could get their questions in. Including, of course, me! Hi. My name is Tania Tirraoro and I am co-chair of Family Voice Surrey parent-carer forum. On behalf of FVS, I sit on both the Surrey Local Change Board and the EHCP workstream, part of the SE pathfinder. I have two statemented teenage sons with ASD and I am also the founder of the website, Special Needs Jungle. I can see how hard parents and professionals alike are working on this reform and how much many LA staff want to do things differently. There are many challenges and details to be worked out and worked through. Our EHCP trial isn't even set to start until September, and we are far from alone. I would like to ask: What is your objection to listening to (as opposed to hearing) all those expert voices who are telling you that any draft bill should be delayed until the New Year?A delay of a few months won't stop this process (described by someone in your department as an 'unstoppable train', rather worryingly), but it will give those involved time to work through the pilots, making adjustments as they go without feeling the unnecessary pressure of looming legislation. The genie is out of the bottle - reform will happen, but you'll be remembered much more favourably if you give them time to do their work without the extra pressure that fitting into an artificial timetable will bring and you will end up with a stronger, more sustainable system that will really work for children with SEN & disabilities and their families. Stephen Kingdom, your DfE colleague, told me last week the process will evolve and it won't be a final bill - if that's so, why bother publishing it until you actually have solid results to use? Despite being in bed recovering from surgery, on Monday I logged on via my iPad to read all the many questions posted - and there were lots of questions from concerned parents about various aspects of SEN provision. It has been clear to me for some time that anyone outside the actual pathfinders doesn't really know what stage they're at, or what they're even about. 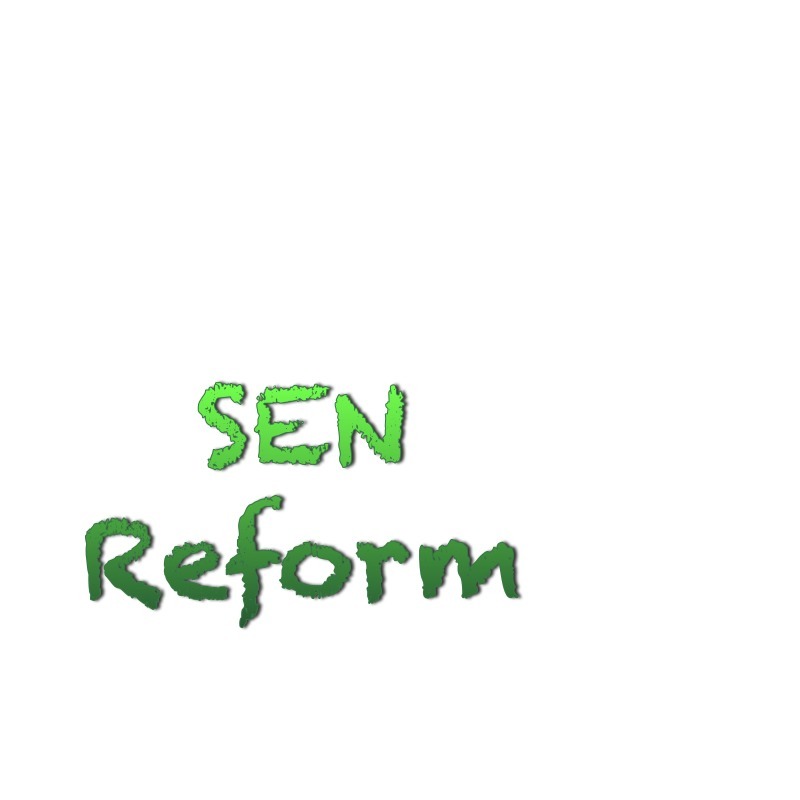 If you'd like to know more, I would thoroughly recommend this article in SEN Magazine from Jane McConnell, CEO of IPSEA who has a good grasp of the issues and spoke at the recent Education Select Committee on SEN. Even though it wasn't the first to be posted, my question was the first Miss Teather chose to answer, not that there is anything to read into that. See below. I would like to ask: What is your objection to listening to (as opposed to hearing) all those expert voices who are telling you that any draft bill should be delayed until the New Year? The most important thing I should stress is that what we will be publishing in September is just a draft bill - it is for discussion, not for debate in Parliament. We won't be publishing the real bill until the Spring next year. The draft bill is an opportunity for parents and charities who are expert in this area to look at our ideas and tell us what they think. The education select committee in Parliament will also run a kind of inquiry on the draft proposals. It is one of the many stages we are using to test out people's views and make sure we have the detail right. It is also important to remember that this is the half way point in the reform process. We began in September 2010, asking people's views on about what should change, then we published a green paper in the spring last year, more detailed proposals a few months ago, the draft bill in September and the real bill next year. We will also have lots of time in Parliament to debate the bill. It isn't being rushed through. It will run over two Parliamentary sessions. And some of the legislation will need to be done in what is called secondary legislation at a later stage. Throughout this process the pathfinders will be testing things out and we wil be getting formal reports. The pathfinders of course are not just testing out the proposals for the legislation. much more importantly, they are about changing culture. You can't legislate to make people listen - you need to get better at it. I didn't post a follow up, she only had an hour and there were a lot of questions to get through. The answer was interesting and informative but it still doesn't answer the question posed further down in my posting - why publish a draft bill if the process is nowhere near ready for it and there is still feedback to be sought from parents and charities? This would seem to be a waste of time and money. It is this draft bill that is putting unneccesary pressure on the professionals involved in the pathfinders who are trying to do their best - it is unfair and unrealistic. At this stage, in Surrey, we are only about to start talking about who a key worker should be and what qualities they need. But key workers need to be appointed before a trial can begin. Likewise a plan writer. This work WILL be done, but why place what amounts to a false deadline to loom over their heads? Speaking as the parent of children with special needs (and I'm pretty certain that my views are echoed by most other parents and professionals), give them time to get it right! Why not say, okay, we will have a draft bill, but to instil confidence in the government's intentions to get it right, we will listen to these concerns and make a much more informed draft bill in January. Would that be so difficult? Really? We wouldn't think badly of you, we would all breathe a sigh of relief that the job could be done without a guillotine hanging over the heads of those doing the work. The perception that without this October draft bill nothing will happen is utterly wrong. All it's doing is causing anxiety and the impression that the government is steaming ahead without regard for the reality of the situation. One very interesting point Miss Teather mentioned - and it's something that is at the very heart of the reform - is culture change. This also is going to take money and time. People may lose their jobs over it if they can't adjust to a new way of thinking. The idea of children and families as 'client groups' as I heard one person call them, must come to an end. Children are not clients, they are the vulnerable young people that this process is all about. You can't change culture by a wave of the wand - extensive training needs to happen. On top of this is the massive shake-up in school funding that is happening all at the same time and it is causing much anxiety, frustration and confusion. Mr Gove seems to forget that with all his 'fantastic' ideas, he is creating uncertainty in already uncertain times and this cannot be good for schools, teachers or ultimately, children. So, thank you Miss Teather, for taking part in the web chat yesterday. I'm not really sure if anything you said made anyone actually feel better, but it was a nice gesture. I know you're busy, but you need to do more getting out and about like this. You see, parents of children with special needs are a cynical bunch and for good reason. Actions speak louder than words to us. Can you really understand what we've been through and are still going through? I don't really think so, but delaying any draft bill to the new year would be a good indication that you are listening to those of us who are in a position to speak on behalf of our fellow parents who are too stressed and overwhelmed with their situation to have time to speak up for themselves. The bill is slipping by a season. In May they said draft in the Summer & bill in early 2013. At the Select Committee ST said “September” for the draft. And now ST has told you “Spring” for the actual bill. Moveable feast, might not have wording sorted till after Easter at earliest, so might only get as far as second reading in the Commons before the recess next Summer. I do think it makes sense to have pre-legislative scrutiny with draft bill actually. The significant thing is when the actual bill turns up. I think everyone agrees that changes are needed to the system of supporting children with SEN and although there are some good ideas in this green paper like the joint care plan I don’t think enough of the other implications have been thought through and if they have gone to the effort of setting up ‘path finders’ to test it out the least they could do is give them an adequate amount of time to properly develop systems to test otherwise how can any feedback effectively inform either draft or final legislation? – In my opinion it is much better to things slowly and get it right than to rush into something and potentially waste an opportunity to get it right. I think you may have something there, Vi!